Ebbe Roe Smith is among Portland’s finest actors and watching him work closeup is always revealing. Here he’s deep in a high energy world of real pigs (also an acronym for Europe’s failed states), Vienna sausages, diminishing Euros, and clutter. A short but filling night at the ever electric Disjecta. Catch the start of the season for Boom Arts this weekend. 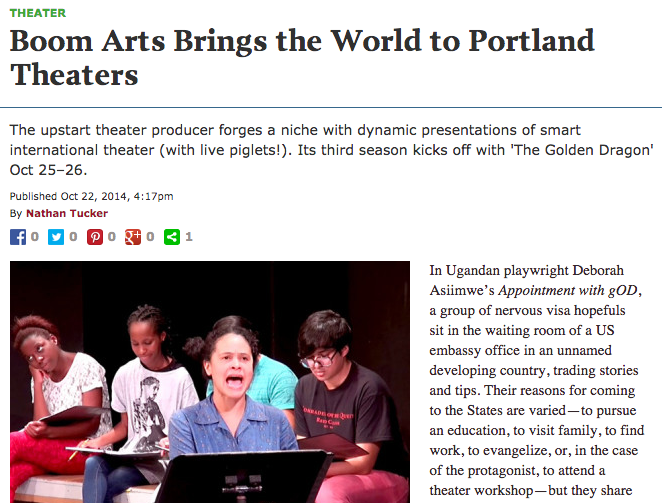 One of Portland’s up-and-coming theatre groups is getting some coverage. Check out this great profile from PoMo’s Nathan Tucker on Boom Arts. If you’re a fan of Seattle’s On the Boards or New York’s St. Ann’s Warehouse, you need to discover Portland’s very own Boom Arts. Think of it as TBA for the rest of the year. Come help kick off Boom’s third season this weekend. 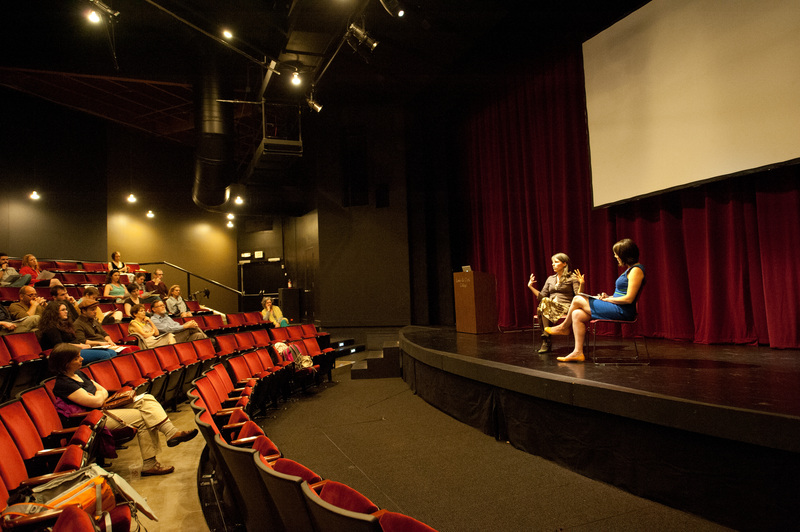 Every September for ten days, PICA’s TBA (Time-Based Art) festival brings the excitement and variety of leading theatre acts from around the world to Portland. So what do you do the other 355 days of the year if you have a taste for the latest and greatest from cutting edge theatre makers anywhere on earth? Why you subscribe to Boom Arts, Portland’s new, dynamic international presenting organization, run by Ruth Wikler-Luker. Boom’s 2014-15 season has just been announced, and it looks fabulous. There are four shows from five countries – all directed by women. In just a few short years, Boom has established an essential new stream of contemporary theatre programming in Portland. Consider it your own personal year round TBA festival. Right now the only way to get tickets is through the new subscription model, so you’d better subscribe! 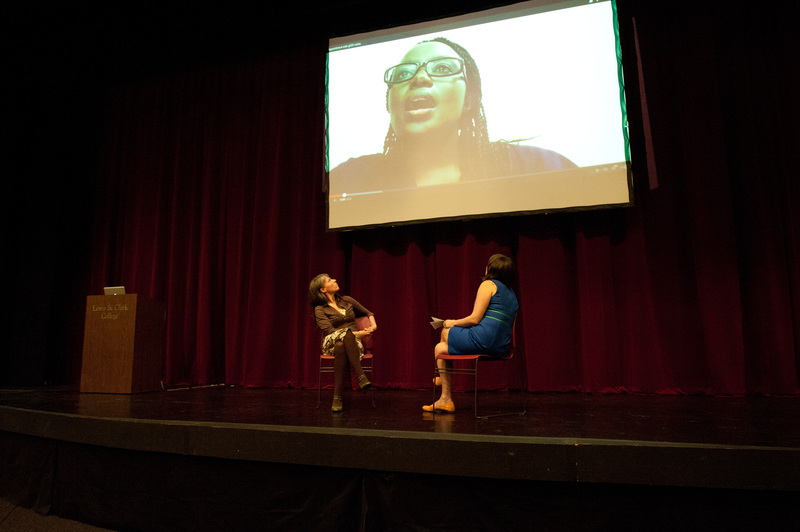 A Boom Arts event at Reed College in April 2014 with Ugandan playwright Deborah Asiimwe attending by Skype. Tickets are currently available only through our new subscription program. Available Here! From internationally acclaimed Spanish-Argentine provocateur theatre artist Rodrigo García comes this free-form, one-man fantasy of a high-art bender/escapade occasioned by economic insolvency. Echoes of Ibero-American economic crises resound through García’s corrosive, poetic language as Goya asks how art can bring up the soul when the ATM has little left to give. UK director Jude Christian joins us to create a staging for Boom Arts inspired by her own explosive 2014 London production. Play by Rodrigo García (Spain). Translation by William Gregory (UK). Directed by Jude Christian (UK). “Fear is a human instinct, but the fear is no longer preventing people from doing things,” Syrian playwright Mohammad Al-Attar told The New York Times in June 2012. We invite you to glimpse the human side of the current Syrian conflict through the unique artistic voice of this playwright, drama practitioner, and commentator who has been chronicling the rapid transformations taking place in his homeland since 2011. In Al-Attar’s short play A Chance Encounter, a simple interaction on a Beirut street corner draws us into a mire of Syrian politics and alliances. 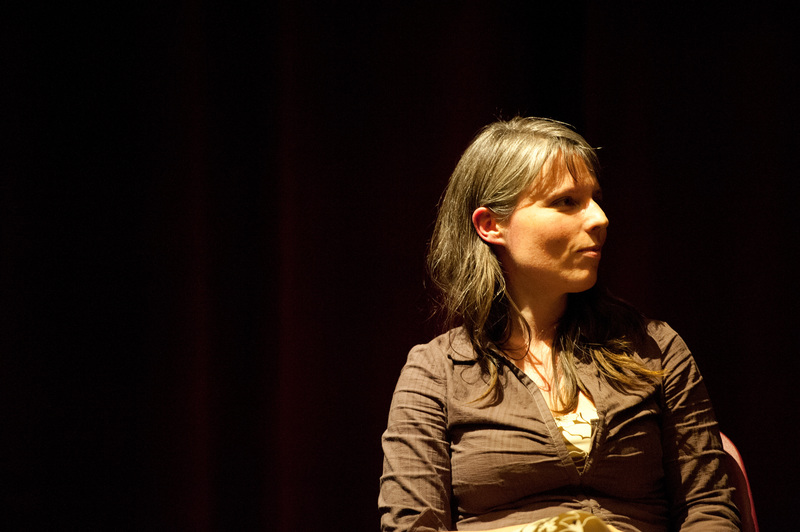 Frequent Boom Arts collaborator Tracy Cameron Francis, a specialist in theatre from the Arab world, directs. Play by Mohammad Al-Attar (Syria). Directed by Tracy Cameron Francis (NYC/PDX). 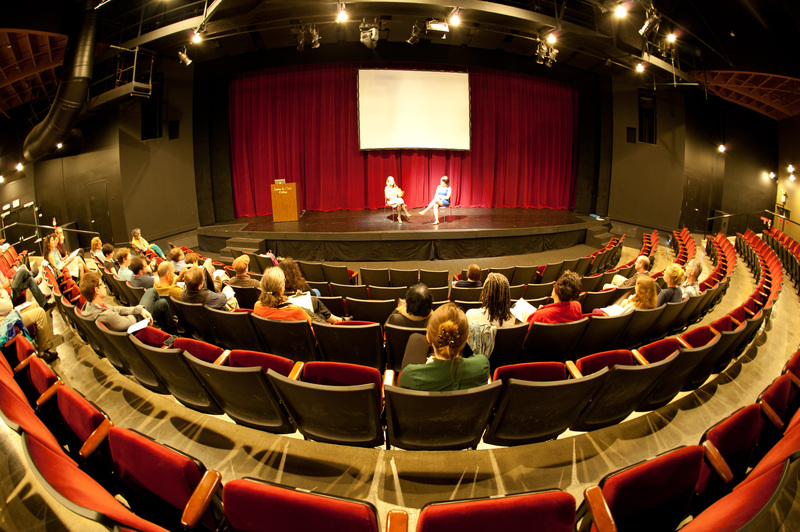 Presented in partnership with the School of Theater and Film, College of the Arts, Portland State University, & the World Affairs Council of Oregon. Supported by the Puffin Foundation. Boom Arts presents the West Coast premiere of Laryssa Husiak and Katherine Brook’s hilarious, heartbreaking touring production She is King. A multi-layered, inspiring work of multimedia documentary theatre, She is King follows the triumphs and struggles of pioneering American woman athlete Billie Jean King. Aided by dated video technologies, fake potted plants, and old-fashioned hairdos, Husiak and Brook faithfully recreate a series of television interviews that reveal both King’s resilience and the bias-ridden context in which she was obliged to function. Don’t miss this unique occasion to celebrate King and pass on her story to the next generation. Created and performed by Laryssa Husiak (US). Directed by Katherine Brook (NYC). Presented with the Fiscal Sponsorship of CoHo Productions. As usual, the annual TBA festival has many, many items that look interesting. See this lineup list of artists – which (it being TBA) is both a programme and a little work of art itself. But in the midst of plenty, here’s one session to put on your list. Ruth Wikler-Luker of Boom Arts is hosting a community forum on art and social change on September 20 at 11 AM. Unless you were strapping on the skis during this past February’s snow storm, you may have missed the first run of A KADDISH FOR BERNIE MADOFF, a Boom Arts production at Portland Playhouse. As the weather gods got their knickers knotted in high dudgeon and the silent white descended, the show went on (as it must). But a lot of you didn’t make it. For those of us who did, the evening was a season highlight – a classic serving of homegrown Portland culture in a neighborhood venue. Rabins is an intriguing stage presence, and using image, song, and word, she finds a way to gently loft up this terrible story, and asks us to behold and consider it and all its impacts from multiple angles. A rare and subtle handling. If you missed out, it’s coming back next weekend at PSU’s Lincoln Hall Studio Theatre for four shows. 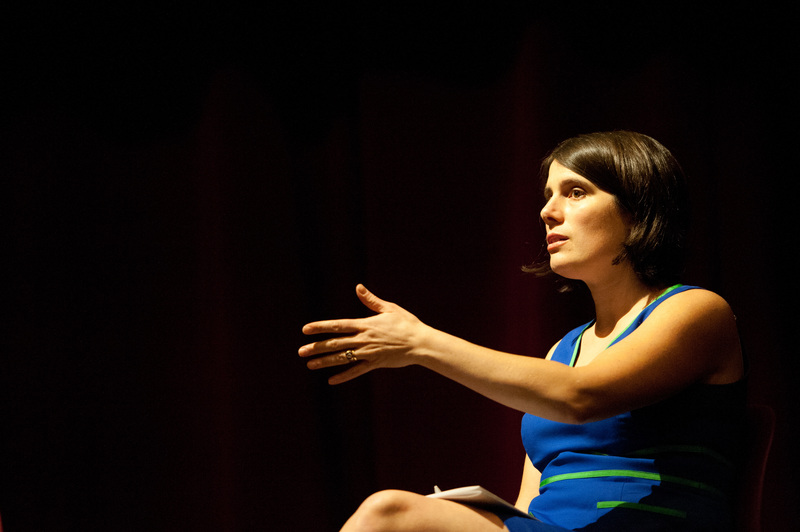 An interesting discussion last night with Emily Mendelsohn as the first part of this week’s events at Boom Arts. Next up: A workshop performance on Friday, Saturday, and Sunday at PSU. “Join us for workshop performances of Appointment with gOD, Ugandan playwright Deborah Asiimwe’s funny, insightful exploration of the US visa process from an African perspective. A group of visa applicants anxiously await their fate in a US embassy waiting room in a developing country, and compare strategies and experiences with one another between appointments with the “gODs” behind the counter. 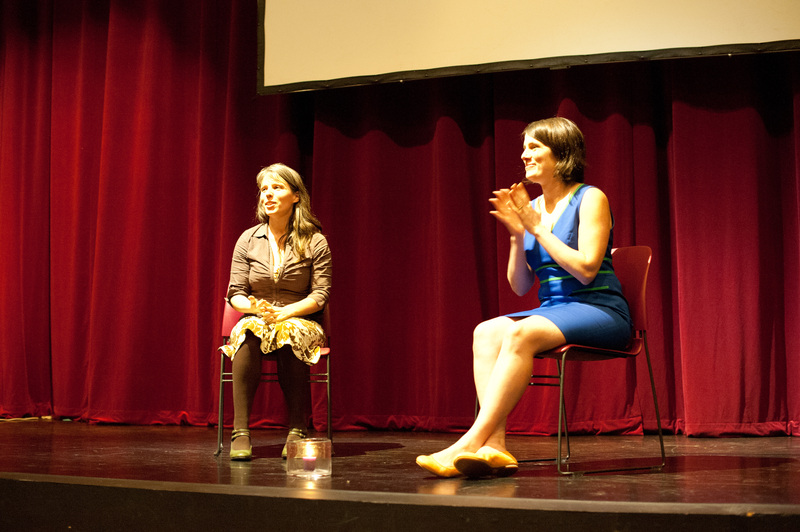 An Artist Talk by director Emily Mendelsohn (NYC) & playwright Deborah Asiimwe (Uganda). Presented by Boom Arts, Lewis & Clark College Theatre Department, & the World Affairs Council of Oregon on the 20th Anniversary of the Rwandan Genocide. 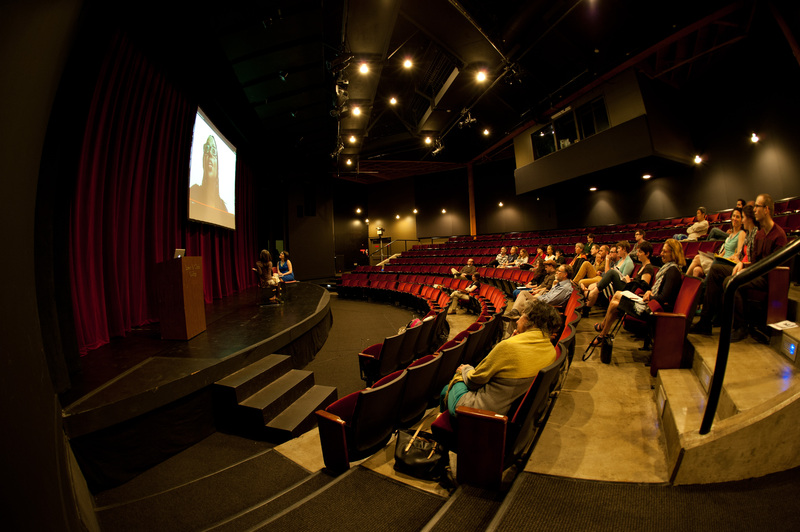 Part of Boom Arts’ Theatre of Global Engagement: International Collaboration and Social Change Arts & Lectures Series. What does long-term artistic collaboration between the US and Africa look like? Hear from US-based director Emily Mendelsohn and her collaborator of seven years, acclaimed Ugandan playwright Deborah Asiimwe as they discuss their five-year, binational creation process for Cooking Oil, a play exploring the grassroots politics of foreign aid, as well as the upcoming work Maria Kizito, being developed in Rwanda by US, Rwandan, and Ugandan artists on the subject of the Rwandan genocide. Discover these artists’ extraordinary work and learn what it takes to connect, listen, and create across cultures. 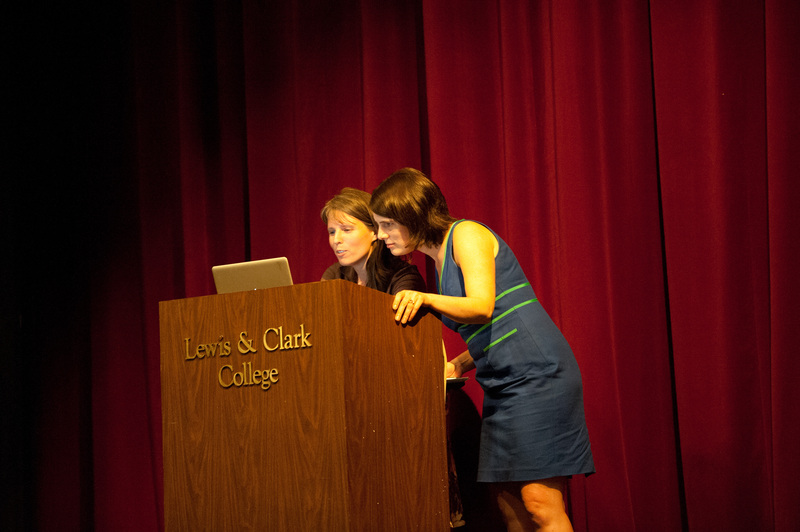 As you know, Boom Arts has an event Monday night at Lewis & Clark College. Theatre in Uganda & Rwanda: Commemoration, Complexity, & Collaboration was to have been a discussion with director Emily Mendelsohn (NYC) & playwright Deborah Asiimwe (Uganda) about Asiimwe’s play Appointment with gOD, which runs next weekend April 11-13 at PSU, in which a young woman artist from a developing country who hopes to come to the US for a theatre workshop is denied a visa by the local US Embassy. And now as luck would have it, Asiimwe has herself been denied a visa to attend the evening. So Skype will have to do. At any rate, the event is still on. So come learn more about this intriguing project, starting with Monday’s discussion. Come check out the latest project at Boom Arts starting Monday night at Lewis & Clark. Join us for workshop performances of Appointment with gOD, Ugandan playwright Deborah Asiimwe’s funny, insightful exploration of the US visa process from an African perspective. A group of visa applicants anxiously await their fate in a US embassy waiting room in a developing country, and compare strategies and experiences with one another between appointments with the “gODs” behind the counter. These performances will follow a week-long Boom Arts artist residency at Portland State University with Asiimwe and her collaborator, NY-based director Emily Mendelsohn. They will feature dynamic Portland actors Victor Mack, Ithica Tell, and Damaris Webb, as well as drummer Alex Addy of the Obo Addy Legacy Project, plus student and community performers. Each performance will be followed by curated community conversations about what it means to encounter and enter the United States– and the roads new Portlanders have taken to get here. If, despite all the notices and plugs here, despite what you’ve heard from friends and family, despite the planes flying back and forth over downtown trailing large banners. If, despite all THIS you somehow remain oblivious to what Boom Arts is. Well, then you may be among that hypothetical segment of the market that are unreachable by anything short of a neutron bomb. And that’s a pretty heavy-handed way to get you out of the house. Not that we wouldn’t try it if that’s what it takes. But aside from this lunatic fringe, surely YOU, dear reader, know about the fabulous local Portland outfit that is Boom Arts. Therefore be it resolved – we will spend no more time asking whether you know them. Instead we shall cut right to what’s coming up next at Boom. Completely enthralling, and refreshingly original. When the voice and story are authentic, the audience knows it in a heartbeat. Rabins skillfully crafts one telling word and song and image after another. Dimly, a painful story of our time comes into view, along with unanswered questions. A triumph of personal creation.